Some of the biggest plumbing problems occur due to the ignorance of homeowners with plumbing simple and basic rules. We are not saying to become a professional plumber, but rather an aware homeowner. 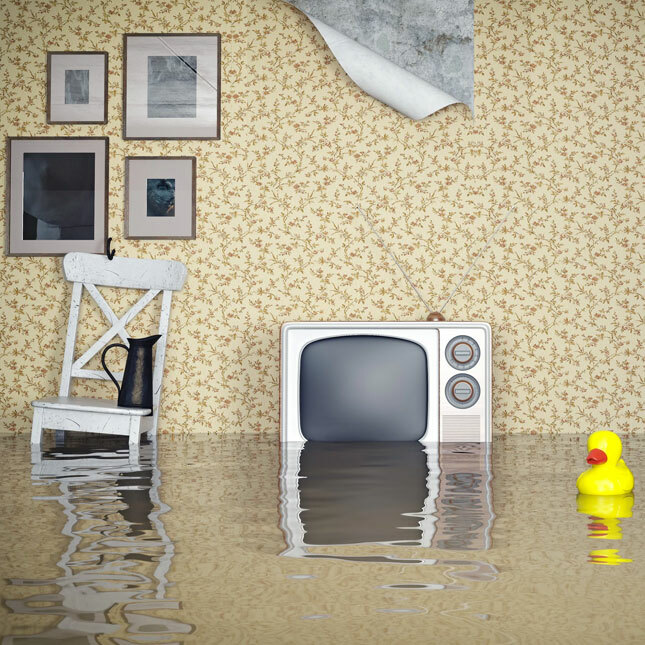 Unexpected plumbing problems are bound to occur eventually and if homeowners are not fully prepared with the needed procedures to be taken to save their houses from getting all flooded, then you might take a rain check on buying a house till you master the art of plumbing. 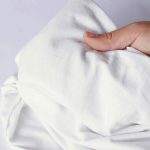 Here are the things every homeowner should do to avert plumbing problems and save their houses from becoming a total wreck. 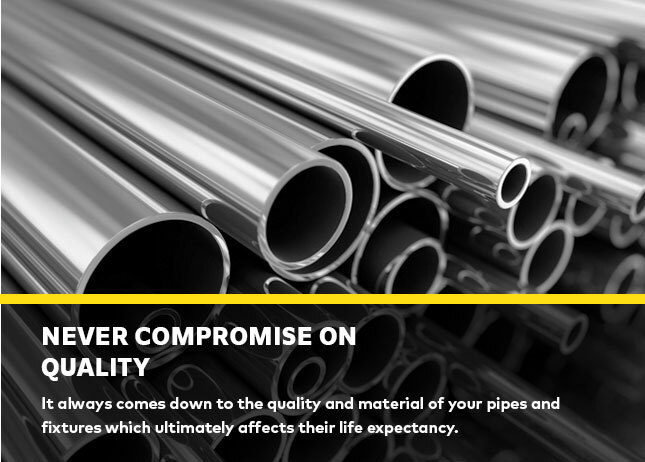 It always comes down to the quality and material of your pipes and fixtures which ultimately affects their life expectancy. 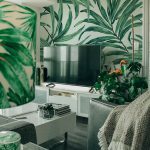 That’s not all as proper and regular maintenance can also increase the lifespan of your existing plumbing and save you from unexpected plumbing problems. 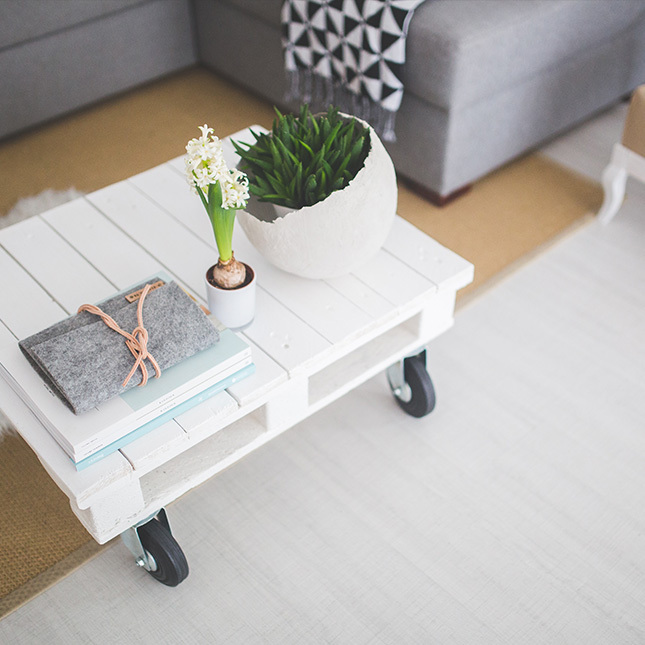 Some plumbing materials have a life span that could reach up to 40 years and others can preserve their functionality and efficiency for a century and maybe longer. Brass, copper, cast iron and galvanized steel have a typical lifespan from 80-100 years, whereas PVC drain lines lifespan is 25-40 years. 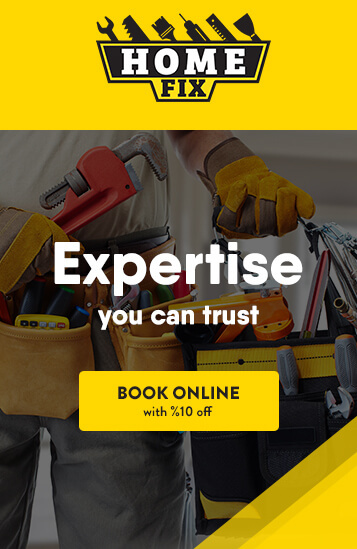 Just make sure to hire a professional to check the material of your plumbing and perform the regular check-ups from time to time. Rusty water is the water that takes on a different color than the usual color, sometimes brown or yellow. It appears mostly in houses that are abandoned for long periods of time where pipes start collecting a great number of rust particles. And even if you haven’t left the house and you started seeing signs of rust even if it is a slight change in the color of water, then it is advisable to replace your pipes immediately. 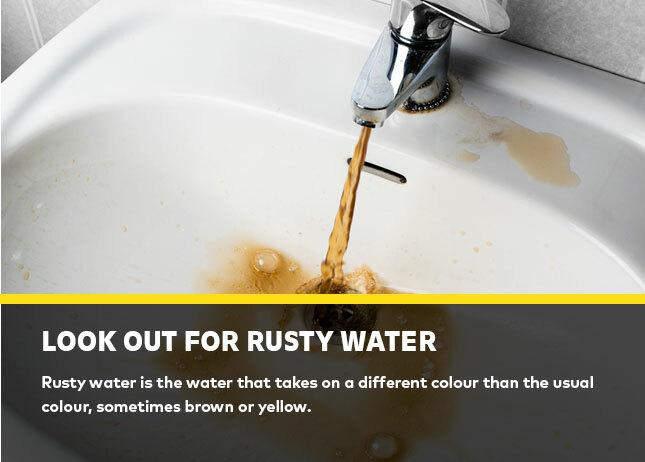 Rusty water is full of bacteria that cause serious health problems if you ignored the mentioned rust signs. 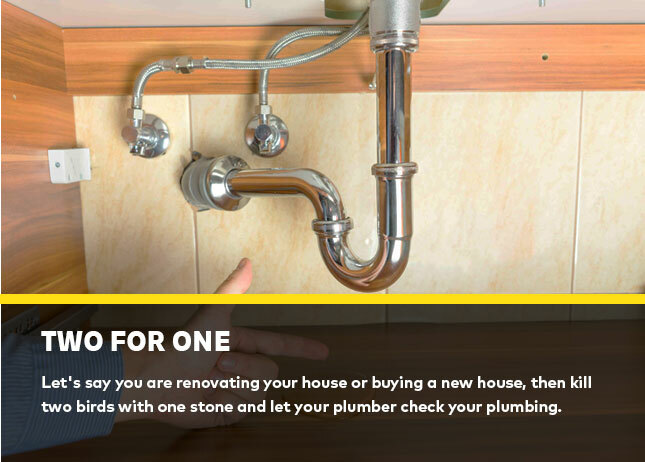 Let’s say you are renovating your house or buying a new house, then kill two birds with one stone and let your plumber check your plumbing. 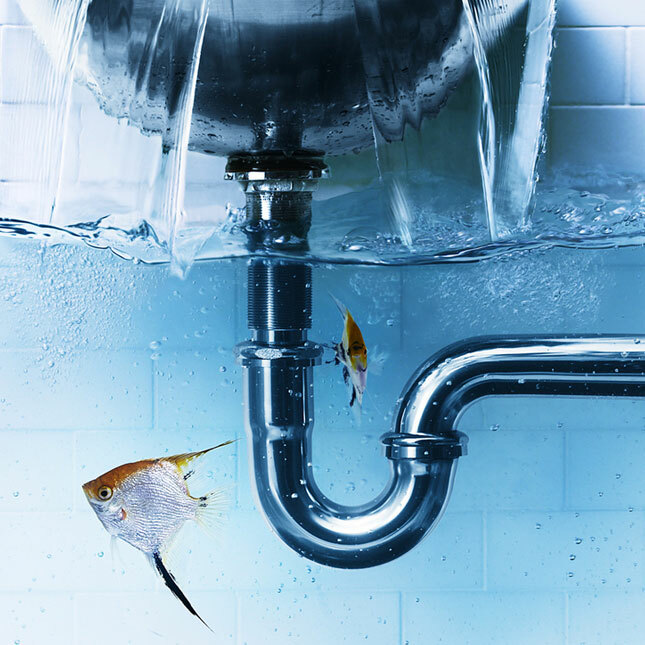 This way you get to check your plumbing system and catch any unforeseen problems that might arise after remodeling. Don’t take a rain check on this one as it will cost you a whole lot more to bring a plumber in the middle of the night to check your broken plumbing systems. Trust us on this one and let your plumber check everything even if nothing serious is showing at the moment of inspection. 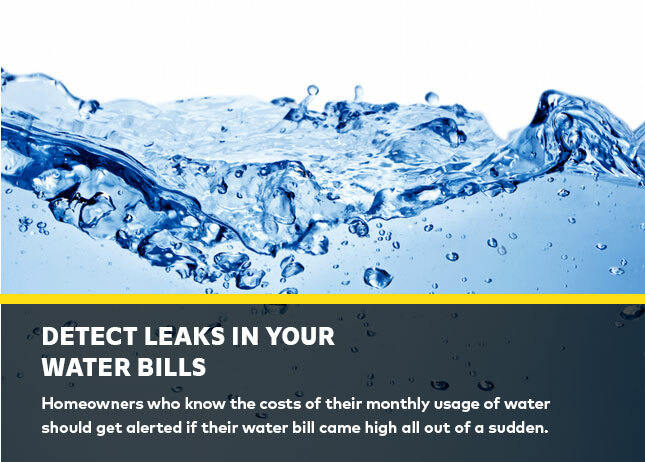 Your water bill is a way for you to detect water leaks in your plumbing system. 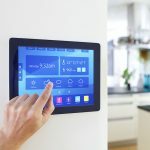 Homeowners who know the costs of their monthly usage of water should get alerted if their water bill came high all out of a sudden. A sudden spike in your water bill should be your number one alert. 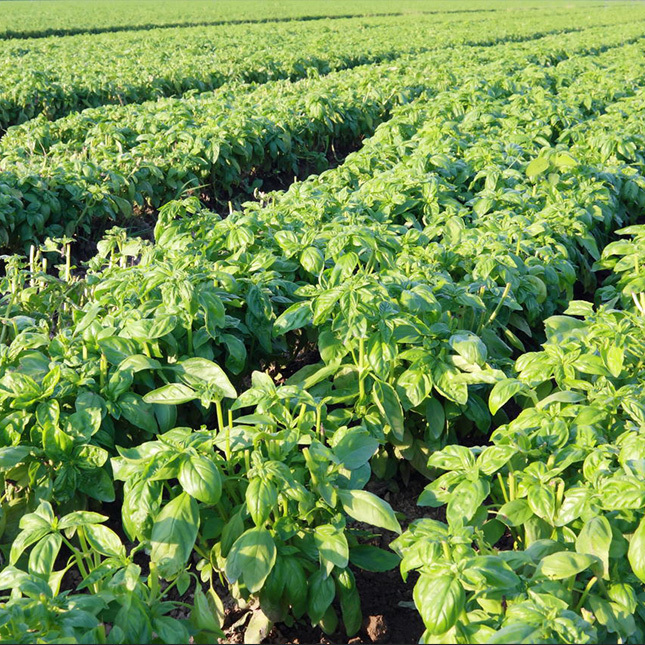 Aside from pipes, leaks also occur from plumbing fixtures and fittings which are a source of water waste. Your water meter is another way to detect invisible leaks as well, just turn off all water then record the reading and wait around 15-20 minutes and record again. If the meter recorded water during this short test when all water in the house was turned off, then there is a leakage somewhere in your plumbing system. 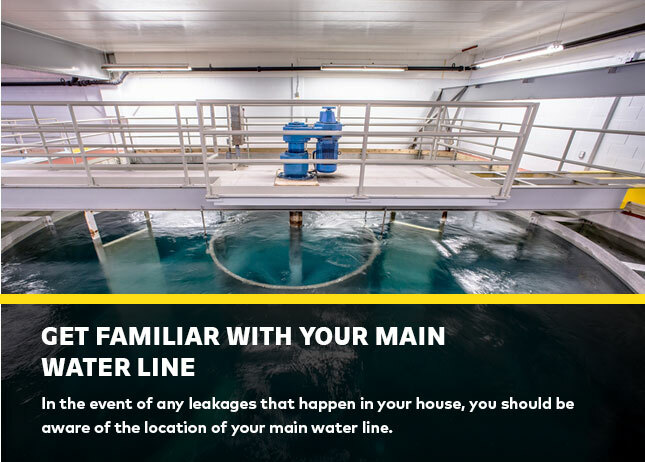 In the event of any leakages that happen in your house, you should be aware of the location of your main water line. You don’t want your house to get all flooded with water till your plumber arrives. 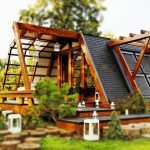 Knowing how to shut down and prevent a total loss is extremely crucial if you want to get your house back to full working order. It is not about keeping your plumber’s number on speed dial, it’s about making sure your plumber is there when you need them. 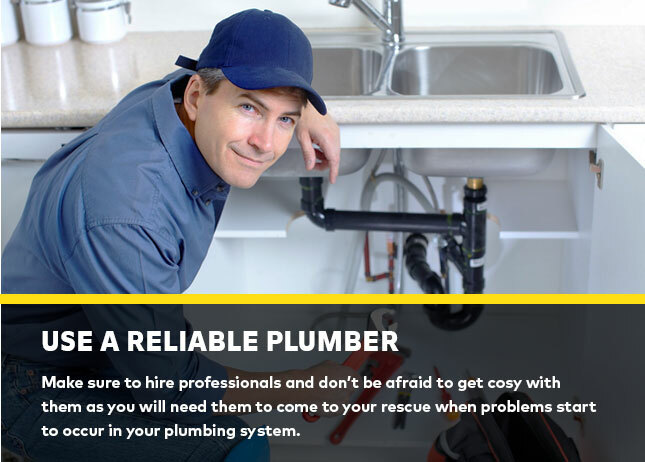 Make sure to hire professionals and don’t be afraid to get cozy with them as you will need them to come to your rescue when problems start to occur in your plumbing system.